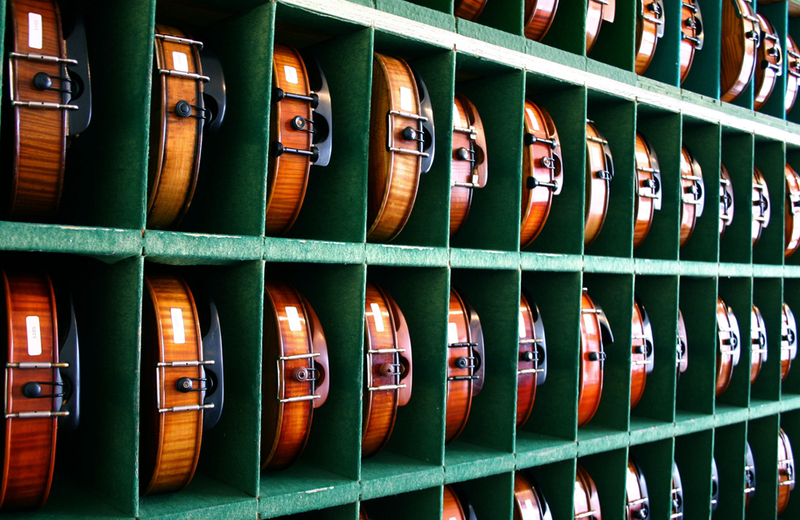 When Is It Time to Upgrade From a Student Violin to a Fine Violin? The moment for students of any stringed instrument to upgrade to a finer violin, cello or viola is an exciting juncture. But to do it right takes caution and study. Perhaps you or the violinist in your family has been accepted into a coveted spot in the school or community orchestra. Or maybe they are auditioning to get into a prestigious school, such as Julliard, the San Francisco Conservatory of Music, the Colburn School or the Curtis Institute of Music. Maybe you have a prodigy on your hands, doing well at competitions such the Prague Spring International Music Festival, the Queen Elisabeth International Music Competition of Belgium, the Henry I. Goldberg International Young Artists Competition or the International Tchaikovsky Competition. The fact is that as music students progress in their skills and artistry, so too must their instruments. Perhaps someone who has been witness to this many times over is Eric Benning of Benning Violins, a Los Angeles-area violinmaker and dealer of stringed instruments. His family-owned store was established in the early 1950s principally to sell violins, violas and cellos crafted in their shop as well as newer and vintage instruments and bows from other makers. That first violin that the student purchases might be in the $300 to $500 range, which can suffice for several years. But if the musician grows into serious study of a stringed instrument and takes on more difficult compositions, he or she will almost certainly move into something that is more finely-crafted. The instruments can be priced at $1000, $10,000 and on up to $200,000 or more. This is especially true of those who change course from an orchestra member to a soloist or recitalist. So how to determine what is the price point for the student? Certainly, wherewithal will be a determining factor. But beyond price, the buyer should work with reputable dealers who are available to service the instrument after the purchase: all string instruments violins need to be maintained on an ongoing basis, especially if they are played regularly. Fine instruments are delicate and it doesn't make much to scratch or nick the varnish. Buyers who are making a serious investment in an instrument need to be wary of fraud, which occasionally happens with disreputable dealers and private parties. Benning cites one example of parents whose child was accepted into a prestigious music school and paid more than $100,000 for a violin that was worth only about a third of that. He says that a dealer who is qualified to do so should certify instruments in that price range.